I'm so excited to be featured in this month's GirlsLife magazine as Kelsey Haywood Lucas's color expert! Seeking a particular type of pick-me-up for the new year? Help is right at your fingertips. Whether you want to kick up your confidence or just bliss out a bit, selecting a smart shade for your mani is the secret to instant feel-good vibes. 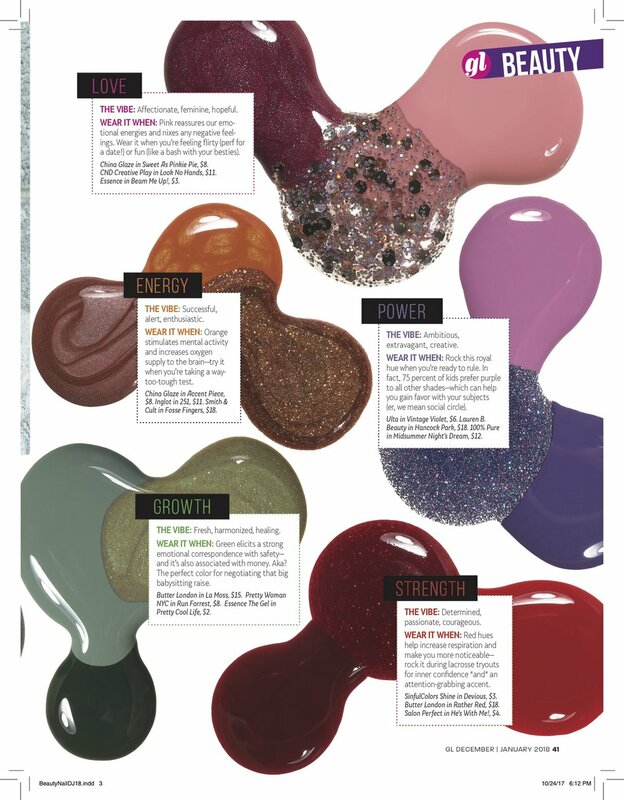 Grab a print copy to read the full breakdown of which nail colors correspond with your goals and energy for the new year!